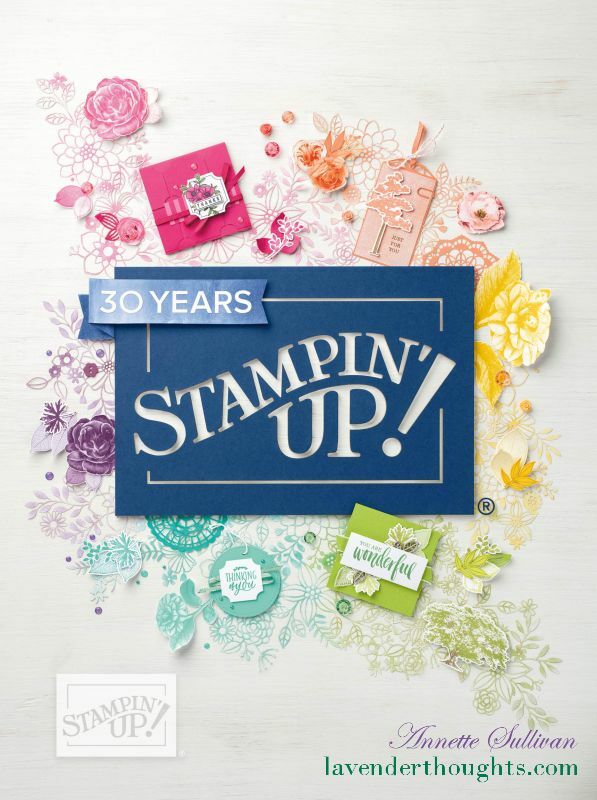 Today I am showcasing the large floral image from the Blended Seasons stamp set. The limited edition products are only available during the month of August 2018. This card uses the Bordered Sentiment Technique which was one of our recent classes. I had so much fun colouring these gorgeous flowers with the Stampin’ Blends alcohol markers. The Bordered Sentiment Technique: Some simple masking will allow you to create one layer with both images and sentiment where the sentiment appears to be in front of the other images. Select a large sentiment that will stand out and stamp it towards the base of the layer. Leave at least 3.0 – 3.5cm below it. Use a ruler and a fine point pen and draw lines equidistant above and below the stamped sentiment to create a border. Mask off the sentiment just above the bottom border line. Stamp images in the lower section, making sure they overlap the mask. Mask off the sentiment just below the top border line. Stamp images in the upper section of the card, making sure they overlap the mask. You have now seen this image coloured with Watercolor Pencils and Stampin’ Blends, one as a Christmas card and the other as a Thank You card.